You need a moment for yourself girl! Self-care moments are literally the second most important part of your day. First being prayer + meditation. Don’t debate me on this – and no, mom-guilt is not an excuse to keep putting yourself on the backburner. Do you know what happens to the pot on the backburner? It’s the first to get burned, that’s what. Grandma’s old grease can goes on the back of the stove, love, not you. You are the main course and you deserve to at least be in the oven, on a slow roast, getting your life! 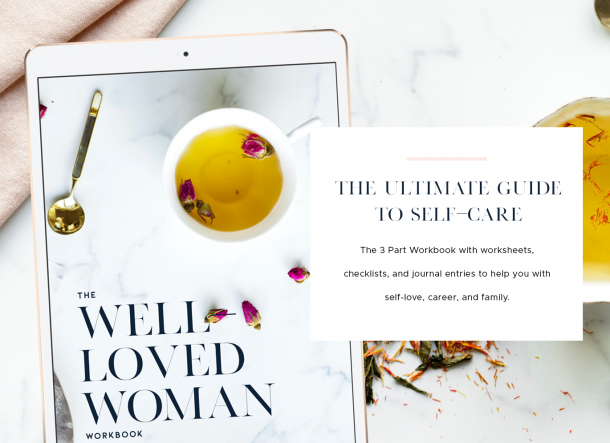 I love sharing easy ways to indulge in more self care. As mom’s we make far too little time to detach from everyone else and tune into our own inner voices. I really loved this post by my mommy mentor-in-my-head (probably yours too), Alex Elle. She really spoke to lots of things I’ve felt, especially at the change of seasons and why it’s so important to take extra time for yourself during a life change. I’ve come up with a short-list of my go-to remedies for overcoming and avoiding “mom-wife-preneur” life overwhelm. These self care moments help me recover, refocus and get back in alignment when I need a break from it all. Yes, I said ONE! Let the fam have takeout, leftovers, or pizza for the night and you take yourself out for a nice meal. You deserve to NOT cook sometimes and to enjoy a meal without having little fingers grab for what’s on your plate (I know my sons aren’t the only ones). Can’t bring yourself to go out for dinner without the fam? Do lunch, or breakfast. The idea is still the same. To find some time to take care of your basic need (yes, empire-building moms need to eat too). You know what else? Dessert would be lit. I’m not saying go “throw it in the bag” like you’re a rapper’s arm piece, I’m just saying use your money for you sometimes. I know there are a thousand other things you could use those funds for – but one thing I’ve realized after shortchanging myself a thousand times is, if you never do you never will. In essence, if you’re always putting your wants off “until [insert lame excuse here]”, that time will never come. So, empty one of those carts you’ve been drooling over and feel better about your lot in life. Remember Molly, from HBO’s Insecure, had a “Molly Maintenance Day” in episode two? Well it’s time for a “Mommy Maintenance Day”, boo. Yes, you. I don’t mean just getting your ends trimmed either. Go all out! Get a steam facial, a deep tissue massage, and upgrade to the premium pedicure – YOLO! Ah-ah-ah! Don’t be half-stepping! When little Brandon and Brittany need new school supplies, do you go for the cheapy stuff? No! Put yourself on a pedestal mama, you deserve that much! Do naps even exist for grownups? I don’t know about all grownups but I’ll tell you who they do exist for! I may not get them in daily, or even weekly, but at least once a month I get the most amazing nap known to adulting – and I feel no shame. I know my mompreneur friends are probably reading this giving me the side eye, but I bet I won’t be throwing dishes, yelling at the kids. Why? Cuz I gets my naps! Feel free to combine this self care moment with any of the others for maximum impact! Yes, I’m about that steam life. No, I don’t go and let little Asian ladies steam me up. But feel free to do that if you’d rather be hands-off in the whole process. I prefer to DIY mine at home using the FemininiTea V-Steam from the Queen Maintenance Kit. It’s a great way to tiptoe into self-healing since it’s an entire healing herbal bundle that’s already mixed for you. V-steams are the perfect self-care moment because they require you to unplug for a minute, bundle up, and relax. V-steaming has been known ot help with a ton of feminine ailments, along with being an excellent routine maintenance tool. It’s even a natural cure for recurring yeast infections. It’s like a deep cleansing facial for your reproductive system. There’s a lot of misinformation out there re: V-steams but trust me, when mixed right, v-steams are your friend, girlfriend. Taking a few minutes every day to check in on yourself can be life changing. I know what it’s like to feel mom-guilt everytime you try to turn a corner, or buy a bagel without your little ones. It’s really no way to live – especially when we give so much. If you’re still feeling some kinda way about taking better care of yourself I’d highly recommend joining the Glow Up Challenge. We’re starting December 12, and spending 21-days getting our goals up, growth up, and GLOW up for the new year. 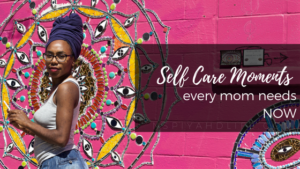 Creating self-care moments should be on every mamas goals list for the New Year. How do you create bliss in your everyday life?